The Netherlands is a small country, but they do have a long history of artistic achievements. Not that many examples of films have broken thorough barriers to my accessibility. European history can be very complicated and confusing. The Netherlands was a major world power at one time and have left a global footprint. Belgium, France, Luxembourg and the Netherlands have had many border changes amongst them. The Dutch have their own language, but share a dialect, Flemish with other parts of Europe. At the beginning I was just looking for interesting movies. A problem is language as the Netherlands and Belgium overlap a bit with each country trying to take advantage of commonalities, The politics is difficult for me and since I rely on subtitles some subtleties are undoubtedly missed. There are many dialects between the Netherlands, Belgium and France but television is having a standardizing effect. 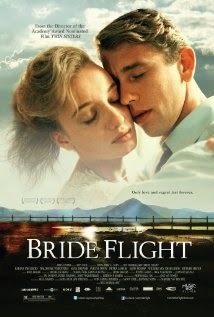 First Dutch movie that reached my attention was "Bride Flight", mainly because of my interest in New Zealand. 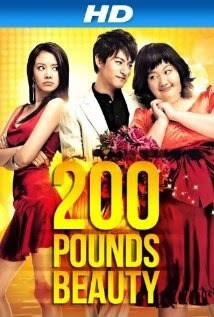 Soap opera type of plot well done. Beautiful scenery. Directed by Ben Sombogaart and written by Marieke van der Pol who had teamed up together for an earlier classic "Twin Sisters." 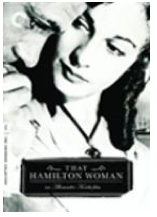 "Black Book" set in World War II is carried by Carrice van Houten who plays a Jew caught up in the Nazi occupation. She might be better known through "Game of Thrones" and she is certainly impressive in "Black Book" Directed by Paul Verhoeve. It is pretty graphic and powerful. "Character" came out in 1997 and won the Oscar for best foreign film. Prior to that other Dutch movie, "Antonia's Line" (1995) and "The Assault" (1986) had won best foreign film honours. 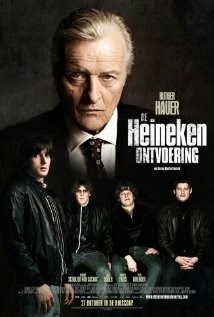 For "The Heineken Kidnapping" Rutger Hauer, an international star came back home to play a very powerful man who undergoes a strange transformation after his kidnapping Story told from kidnappers viewpoint. One of the motivating factors was the fact the head kidnapper's father had been fired from Heineken due to alcoholism. He claimed he had been coerced into drinking on his sales calls and this pricked the conscience of Heineken after he resolved his post kidnapping feelings. "Twin Sisters" based on popular novel was made into a film in 2002. It used three pairs of actresses as the sisters at different ages. All six were excellent. I especially liked the two who played the women in their twenties, Thekla Reuten and Nadja Uhl. The two twin sisters are separated from each other, one in Germany and one in the Netherlands. The Dutch one loves a Jew and the German one marries a SS officer (not as bad as it sounds) and with the tensions of World War II the two sisters when finally finding each other come to be mutually hostile. An outsider can appreciate neither had much choice, but each was decent in their own way. 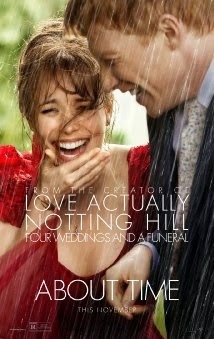 Very well done and enjoyable. "Winter in Wartime" also based on a best selling novel. Told from the perspective of a 14 year old boy in occupied Netherlands. Who can you trust? Open defiance is not effective. Exciting horse chase which ends in tragedy for the horse. One impressive Belgian actor now taking English, Flemish and French roles is Mattias Schoenaerts. The financing of movies often involved Belgian and Dutch investors as well as talent. Mattias caught my attention in "Bullhead" which is a brutal movie that was nominated for an Oscar and the French language "Rust and Bone." 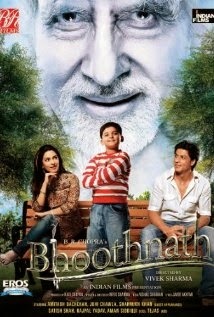 He is also making a mark on English speaking films. Like to include one comedy when reviewing a nation's film output. 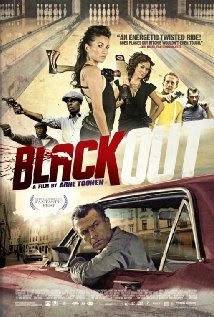 "Black Out" supposedly copies some Hollywood movies with its humour coming from grossing out, but also satire--racist, homophobic, sexist plus social media. The lead man, Raymond Thiry was a very good choice (remembered from "Winter in Wartime"). Compared to Quentin Tarentino, but tamer (and I think more subtle). 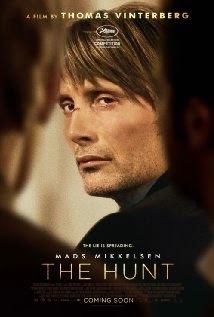 "North Sea Texas" was listed as a Dutch language movie, but I learned it is a Belgian production. 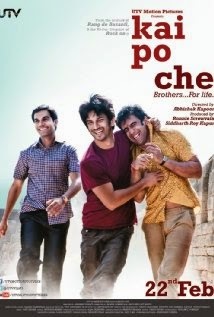 It is a gay themed movie which seems a more relevant genre than it used to be. 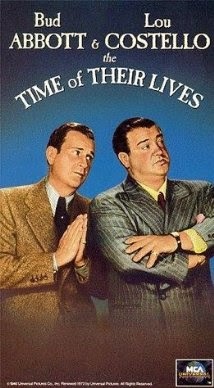 If you like gay movies it is good without being very explicit. 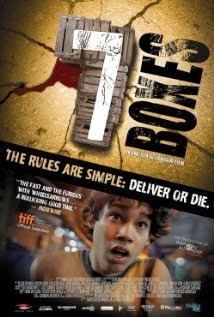 I find a lot of good movies come from small countries. They do not have the scale of population and money that enables a lot of movies so there is a careful selection process. Often actors and technicians have to go elsewhere to make a living, but are able to return home as experienced participants. Many of us in the English speaking world are ignorant of history and culture of the rest of the world. There is a richness that is well worth seeking and movies are one aspect. Did you miss it? I did. November 19th, 2014 was only the second day designated World Toilet Day and for most of us it might have seemed a weird thing to celebrate. Only it is not so much a celebration as a call to do something about the lack of toilets for over 2.5 billion people. Most westerners take toilets for granted and the thought of being somewhere without acceptable access turns up our noses. We are vaguely aware that some people use outhouses and other facilities we do not know of or care to know about. It (the lack of toilet access) is a problem with international implications, but of course impacts locally a lot more for some. One of the prime concerns is the spread of disease. With proper sanitation which includes more than just toilets much disease is controlled and in western cultures is a prime reason we live longer, healthier lives. Open defecation, common in parts of the world helps spread disease, including diarrhea. Easy access to toilets actually helps productivity. This becomes evident when toilets are not accessible and great efforts (or suffering) to find one take away from other activities. Some people of course are quite used to going anywhere and too often privacy is not a big concern. Prime Minister Narendra Modi of India has made increasing toilet accessibility a priority of his government. He has pledged to increase toilet accessibility to 600 million more people by 2019. Prime Minister Modi realizes that not only is the current situation unhealthy it is holding back his country just as they are becoming a major economic power. The lack of toilets is a special concern for women. The lack of toilets at schools has discouraged girls from going to school particularly when they reach an age when they menstruate. Going outdoors at night has been found to attract sexual attacks. Women (and men) are reluctant to go some places where they know there is not reasonable access to toilets. It may seem trivial but toilet accessibility has an impact on education as well as productivity. The problem is not just one of supplying toilets, but sometimes of breaking old habits to ensure newer healthier habits. Public health workers are being trained to help educate the public. I am sure someone will be able to make money from dealing with this problem/opportunity but it is also a need for government to facilitate a solution that benefits everyone. 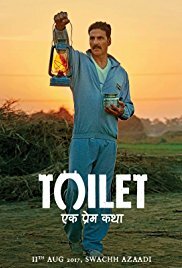 Awhile back I remember watching a Bollywood movie, "Paa" that alluded to the problem of people defecating publicly and how difficult it would be to deal with the problem. It was just a small issue, but drew attention of many people who prefer not to think of the problem. TALKING TO THE ENEMY HOW ELSE CAN YOU UNDERSTAND THEM? The author Scott Atran is an anthropologist and like most of us has heard descriptions of terrorists as religious or political fanatics. What surprised him is that other factors turned out to be more critical. If we start with wrong assumptions it will be more difficult to find a solution. Evolution theory has focused on individual traits, but lately more attention is being paid to group dynamics--how did one group survive? Co-operation and sacrifice for the common good has played a role. In the early stages of human development relatively we had weak bodies, but big brains and a tendency to be gregarious. In fact ideology and religion are forces that unite groups even as each believer may have different degrees of faith. Trusting strangers is a very necessary factor for civilizations to develop. Even so we are suspicious of people who do not look like us, do not express themselves the same way or who do not respect our sacred values. We can affiliate with "strangers" more readily if they share some of our values. Sacred values are personal and group priorities that we can identify (sometimes with help), but we don't always understand the sacred values of others. Sacred values are often so strong with a group that they cannot be pushed away by mere material considerations. One example might be Palestinians feel they have a right to the same land that some Jews feel they have a right to. Offering cash and like considerations while ignoring their attachments to the values is an insult and can actually harden feelings. 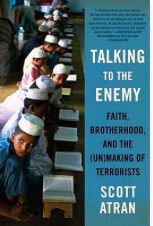 Scott noticed that many of the terrorists went to the same school or played soccer together. In some groups the heroes were sports celebrities and in others terrorists. 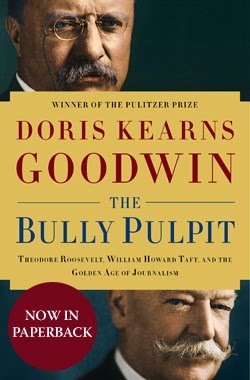 Some were admired and aspired to, not necessarily because of religious beliefs but because they stood up for the group. What gives some of them meaning is publicity which he feels our media is complicit in giving them. Publicity makes heroes. What turns many people to terrorism (or sympathy for terrorists) is unemployment, poor schooling, and political marginalization. He cites African Americans in the United States and Muslims in Europe. In passing there was an interesting quote from Andre Malraux as follows: "The greatest mystery is not that we have been flung at random among the profusion of the earth and the galaxies, but that in this prism we can fashion images sufficiently powerful to deny our nothingness." Realistic, but hopeful that there is some meaning in life. A lot of critics of terrorism point out the religious content and wondering how the perpetrators could be so misled. 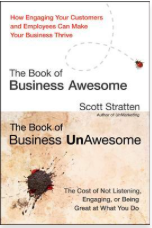 Scott contends that the critics are overlooking the social content. Most religions, including Christianity have violence in their messages. Again religion unites people. The author is an atheist and thinks of religions as belief in the absurd, but points out that rituals that indicate our acceptance of the absurd bonds people together. Terrorism should not be the priority it is because the average person has many more likely life threatening concerns (that they mostly ignore). We need to get beyond the stereotypes and learn the root causes. Many feel the outside world is against them. In truth we do not understand a lot of foreign customs. The author suggested one Afghan custom was underestimated and that is the importance they place on treating guests even if they do not see eye to eye with them. 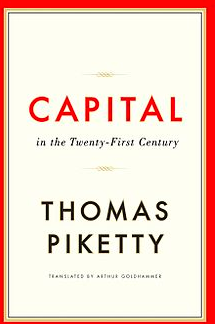 Another recommendation from Fareed Zakaria.